We’re still playing through Far Cry New Dawn, so there’s sure to be plenty of Easter Eggs. We have spotted one though – could this be a hint that Ubisoft is serious about creating a sequel to Far Cry Blood Dragon? We’ve been playing Far Cry New Dawn for over 30 hours ahead of its release on February 15, 2019. We’ve seen a lot of cool stuff, which you enjoy in our guide. However, we’ve spotted something that could get fans of Blood Dragon very excited! Alongside searching for the best Guns for Hire and precious Ethanol to upgrade your base, there’s a few secrets lurking around! On the bookshelf in your home base in Prosperity is a book shelf full of interesting reads, like “Your meat is Neat” and “Mum’s Fashion Week”. 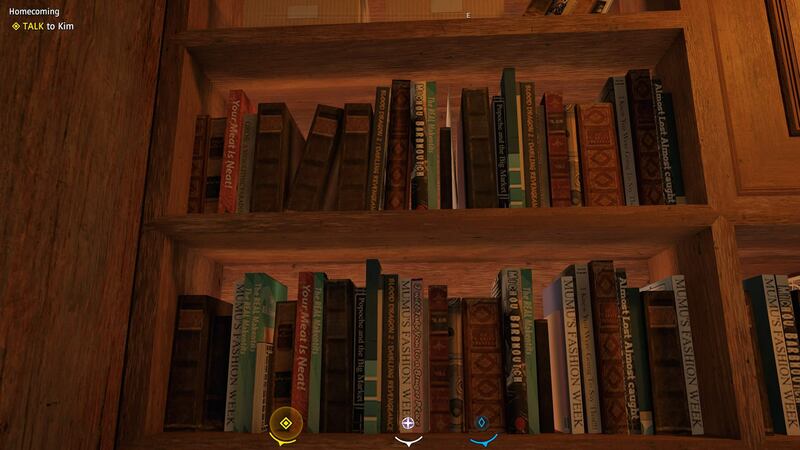 However, look closely and you’ll see multiple books named “Blood Dragon 2: Darling Revengeance”. Dr. Darling was the heroine in Far Cry 3 Blood Dragon. Blood Dragon 2 can be seen on the cover of approximately six books in Prosperity. If you’re a big Far Cry fan, you’ll certainly remember the original Blood Dragon. It was a standalone expansion for Far Cry 3, set in the aftermath of a nuclear war in 2007. 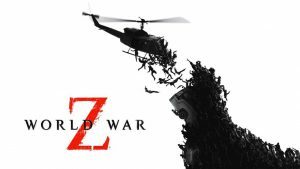 Released about a year after the original title. It starred Michael Biehn from Aliens and The Terminator. It was very much a send-up of 80s sci-fi films. And the abyss. We mustn’t forget the abyss. 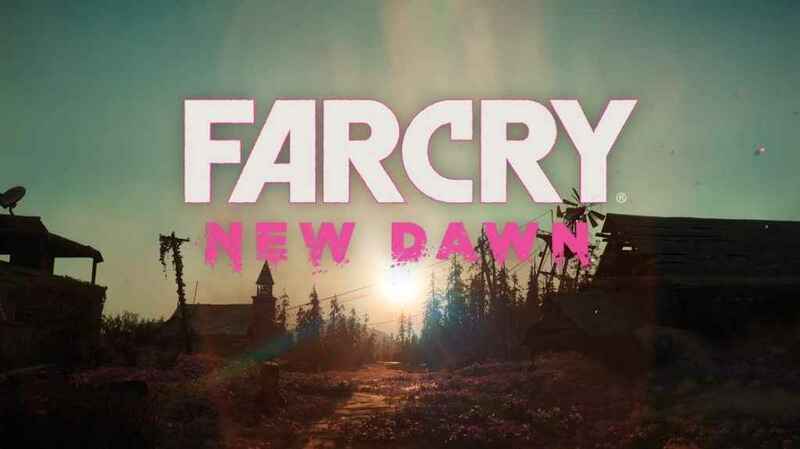 Far Cry New Dawn Easter Egg? Could this be an Easter Egg? Or is Ubisoft teasing us with a return of Sergeant Rex “Power” Colt and the resurrection of this highly rated spin-off. Well, it’s likely an Easter Egg. In fact, it looks like Ubisoft is re-using assets. 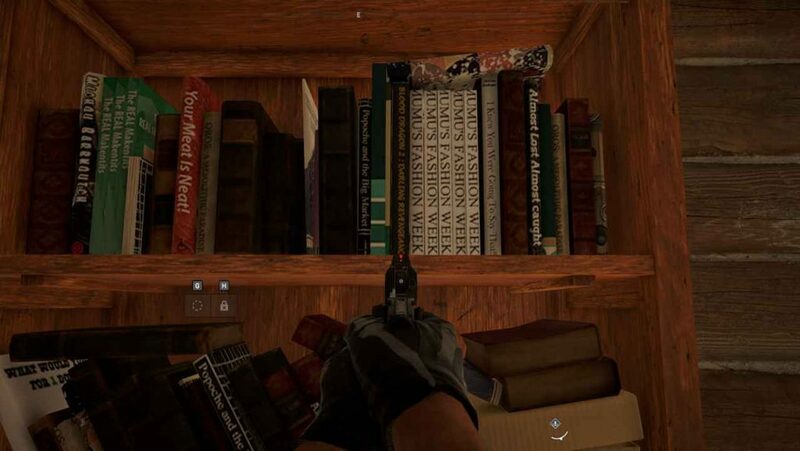 The same book, and a remarkably similar bookshelf, was seen in Far Cry 5. 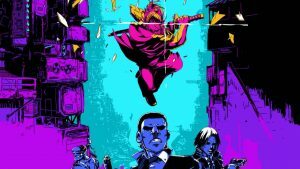 Would you like to see Far Cry Blood Dragon 2? Let us know in the comments below.